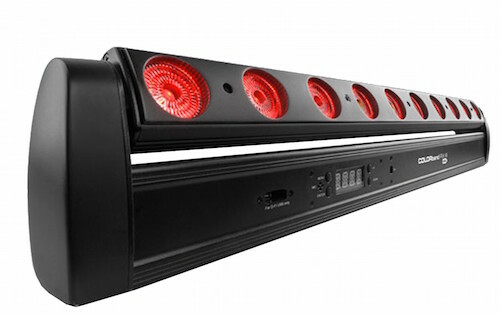 COLORband PiX-M USB, a moving LED strip light, is a versatile wall-wash light that can create dynamic sweeping, chase, animation and blinder effects thanks to its rotating base, pixel-mapping capabilities, and the ability to control each of its 10 LEDs separately. Its motors allow you to angle the light where it’s needed. COLORband Pix-M USB features D-Fi USB compatibility for wireless master/slave or DMX control but you can also access dramatic, pre-built automated programs with or without DMX. 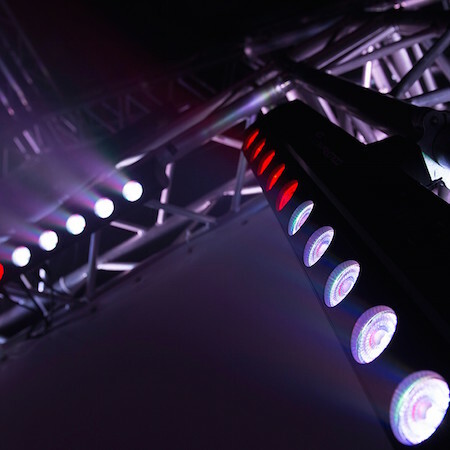 Wireless, non-DMX operation is also available with the optional IRC-6 remote.